You'll visit kid-friendly attractions like Murudeshwar and Jog Falls. 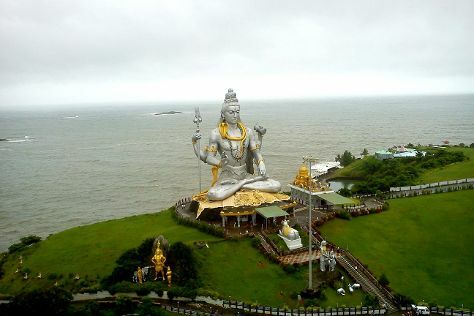 Get out of town with these interesting Murdeshwar side-trips: Honnavar (Gersoppa, Kodlamane Shree Vishnumurthy Temple, & more), Sharavati River (in Shimoga) and Idagunji Maha Ganapathi Temple (in Idagunji). To see reviews, traveler tips, where to stay, and other tourist information, use the Murdeshwar holiday website . Chennai to Murdeshwar is an approximately 11-hour flight. You can also drive. Finish up your sightseeing early on the 30th (Tue) so you can travel back home.